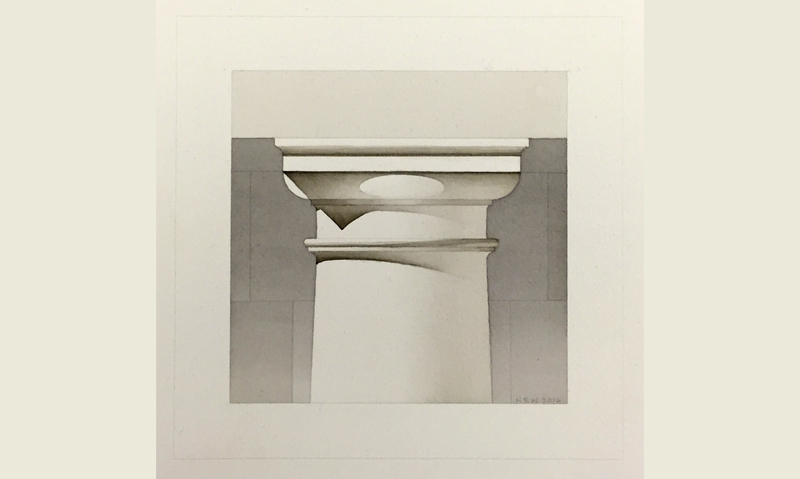 This course, taught by architectural illustrator David Genther, introduces the techniques of Beaux-Arts wash rendering. 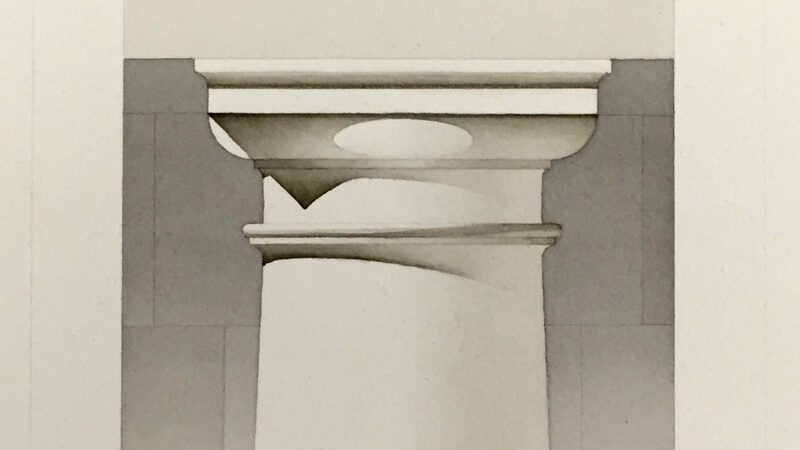 Students will begin by learning the basic skills needed to produce a traditional ink wash rendering of a Doric column capital. They will then develop an understanding of the qualities and characteristics of light, shade, shadow, and reflected light, as well as a sensibility for how architectural geometries, forms, planes, and profiles modulate light and shade and subsequently render form apparent. Note: You should bring any and all brushes you own, but it is imperative you get the 2 Kolinsky brushes, as they are essential to completing the drawing. Bring drafting equipment if you have it. At the very least a ruler to use as a straight edge and a pencil. To provide the students with the basic skills to produce a wash rendering of a design project. To develop an understanding of the qualities and characteristics of light, shade, shadow and reflected light. To develop a sensibility for how architectural geometries, forms, planes and profiles - individually and in combination - modulate light and shade and subsequently render form apparent.